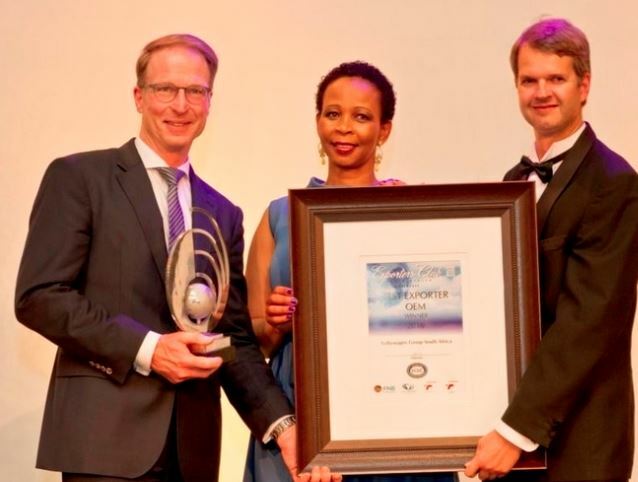 Last week VWSA was honoured with two awards at the Eastern Cape's Exporter of the Year Awards. The first award was the SJM Flex Environmental award, which is awarded to an exporter who is ISO 14001 accredited and who pursues excellence in environmental management, was earned for the fourth year by VWSA. The second award, the Best Exporter - OEM Award, recognises manufacturers of original equipment for the automotive industry and this year marks the third time VWSA has walked away with it. "Over the past six years, as a company we have reduced energy consumption by 35%, waste by 60%, water by 53%, CO2 by 33% and solvent emissions by 31%, so the SJM Flex Environmental award is great recognition for our efforts in trying to reduce our impact on the environment. VWSA continues to invest in the Eastern Cape both financially, socially and environmentally. The R4.5 billion investment announcement in 2015 and our CSI initiatives are our commitment to the Eastern Cape and specifically the Nelson Mandela Bay Metro." The judges for these awards come from varying backgrounds and represent different sectors.